With bills piling up, the time for consolidation is now. It seems that with each passing month, a company reveals a product with 3G support. On that note, odds are good that you already own a 3G enabled device or plan to buy one in the future, be it an iPhone, iPad or Sony's upcoming PlayStation Vita. The fact that so many current and future gadgets let us surf away from home is certainly a great thing. It's one of the many reasons why we ditched those iPod Touches in favor of iPhones. Wi-Fi just wasn't good enough. That said, here's the problem. Each one of these technological marvels requires an individual 3G account, and for whatever reason, there's no universal 3G subscription. In other words, the $29.99 you pay every month for the iPad 3G doesn't translate to the aforementioned PlayStation Vita. Instead, you must set up individual accounts with separate bills. Sorry, but we only have room for one 3G account. It makes sense for AT&T (or another service provider) to offer an all in one package that covers every single 3G device on the market. Consumers shouldn't pay extra to access the Internet from multiple sources. Rather, it should be one account that links Vita, iPad and other devices. There's something to be said for corporate greed, and another for doing the smart thing. Create all encompassing account, and we guarantee that 3G usage will increase across the board. 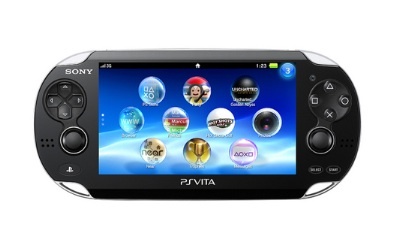 Otherwise, that 3G PlayStation Vita will languish on store shelves.